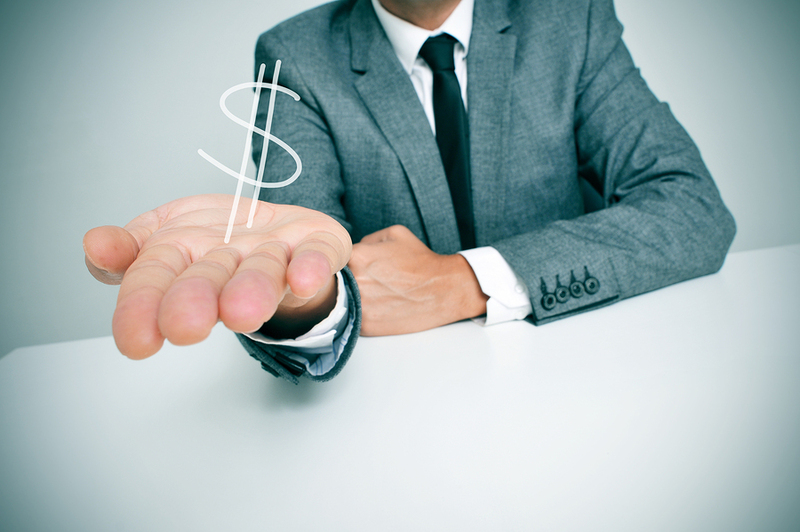 How Much Will Your Scanning Project Cost? 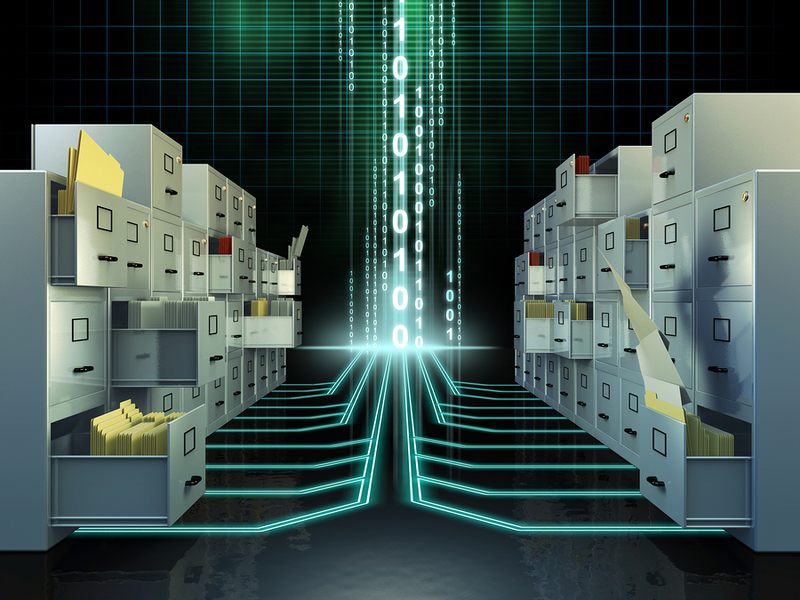 Document Scanning is changing the way companies manage and control their documents. It provides an easy-to-use system for maintaining virtually every aspect of document management, from human resources files to business files and contracts that are critical to any company. A document scanning company has high quality, high resolution document scanning equipment that provides reliable digital reproductions of any kind. This in-depth white paper will take you through all the different aspects you should consider when pricing out a scanning project, including how the process works, what steps you need to take to prepare your documents to be scanned, how and where you should store your documents after they’re converted, and what do with your documents after the project is complete. 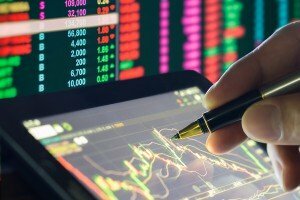 What Industries Use Document Scanning Regularly? What Type of Scanning Service Is Best for My Business? Determining that you need to do scanning is one thing. Figuring out how to do it- and how much it costs- can be a little more difficult. You can always hire a professional document management company to handle the project for you, or you can choose to create a process in-house. There are advantages and disadvantages to both choices. Regardless of which option you choose, you’ll have several tasks to complete and a lot of choices that you have to make to prepare your company for electronic documents- and this article is designed to help you through that process. We’ll take you through all the different aspects you should consider when pricing out a scanning project, including how the process works, what steps you need to take to prepare your documents to be scanned, how and where you should store your documents after they’re converted, and what do with your documents after the project is complete. Although any business can go paperless, there are a lot of companies in specific industries that literally have mountains of paperwork that they have to maintain- sometimes on a daily basis. The more hard-copy documents you have to maintain, the more likely you’ll see a huge increase in productivity and efficiency, and a tremendous reduction in lost and duplicated documents and the risk of a low-tech hack or data breach by switching to paperless. 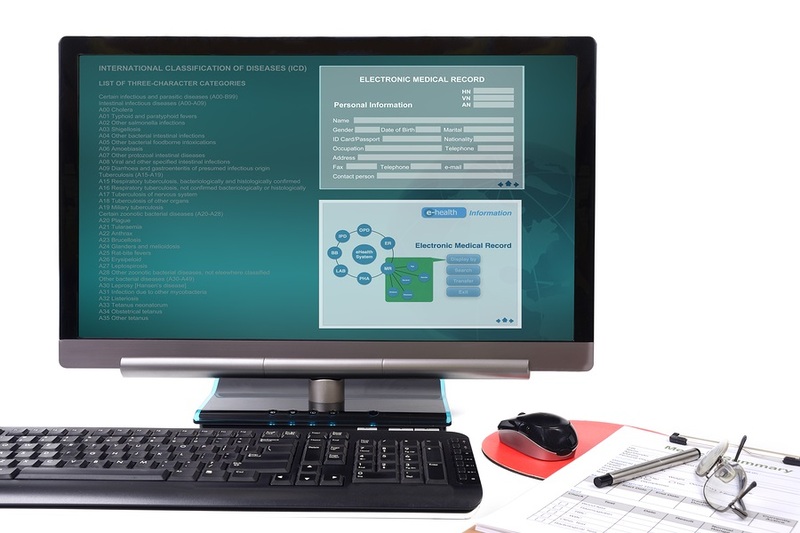 From single practitioners to hospitals, Record Nations can help digitize your medical records and even help you migrate them to and electronic health records, or EHR system. That doesn’t even include documents that you use for every day administration. Document scanning and digital document management is one of the best ways to improve processes that have a lot of paperwork to deal with on a regular basis. There might be certain laws and guidelines that must be followed- let our experts know what you need so we can make sure to comply with your industry, company, and legal requirements. No matter what type of industry you’re in, the more you streamline your processes, the easier it will be to run your business. That’s where document scanning can give you a tremendous advantage for your business. To start, you need to organize your thoughts- and your documents. Although there are certain files that need to be kept long-term for legal reasons, there’s also several other types of documents that you should keep permanently or until you need them short-term. Here’s a list of some of the more common types of records and documents that businesses need to maintain and keep on hand. Since you need to access these documents regularly, these documents are some of the most important ones to consider converting to digital format. The Internal Revenue Service mandates that business tax records need to be kept for at least three years– but if you’re not reporting part of your income or carrying over a loss or a gain in your business, you need to hold on to them for three years after everything has been reported. Many experts say that it’s wise to keep your filed tax returns permanently. Any tax records related to employees need to be kept for seven years after you have paid all taxes due on them. Previous year’s tax records could be stored offsite in paper form after the tax year is complete and you have filed your taxes- you only need to have the current year’s documents on hand. Check with your accountant to clarify your specific situation. All employee records should be kept for at least seven years, especially any documentation that includes taxes you paid on their behalf as part of their paycheck. Every employee should also have a file that documents annual reviews and any discipline meetings you held with them to protect you in the event of a lawsuit or other issue. Any active employee should have a digital or hard copy record in the office, but you also need to maintain files for employees who have quit or retired in the last seven years. Client records are critical to your business- you need to set up a reliable way to maintain client or customer records. It’s important to store the customer files and information in a system that is easy to use and pull up detailed information quickly. Scanning these files is highly recommended. Digital systems allow you to set up reminders when a client places a large order, when an account goes inactive, and to track billing and invoicing. Thousands of companies use a CRM that interfaces with their electronic document management system to connect their departments and ensure superior customer service. Setting up a system that allows you to flag files that need to be scanned or stored is an excellent addition to your document management plan. 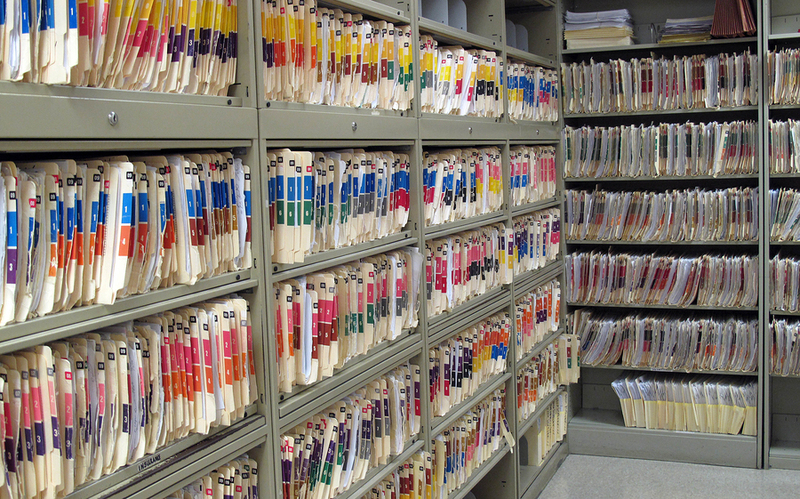 Depending on the type of business that you run, you may want to store client records after three years of inactivity. You should also store any copies of contracts, mortgages, and deeds. This is just a short list of the documents that we recommend- if you want more information on the specific retention times for business documents, please click on this link! Why should you migrate to a digital office? Is it really worth it? The short answer is yes- but you’re probably expecting us to say that. Before digital documents were mainstream, converting from one storage medium to another was a tremendous undertaking. Although the new storage systems had advantages, the migration was a hassle- and there was a good chance that something better would replace it in the near future. This is why so many companies rely on hard-copy document management now. Most digital formats can now be updated quickly and easily, eliminating the costly process of converting from one storage medium to another. 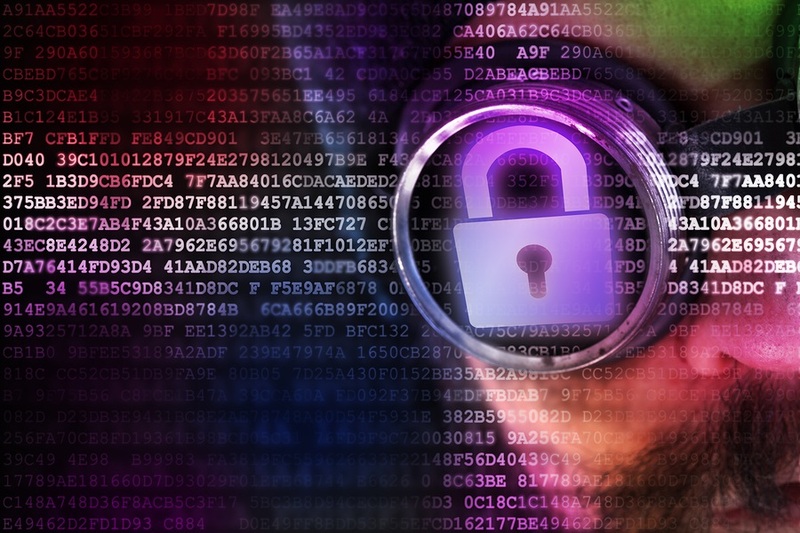 With the enactment of several privacy laws including HIPAA and FACTA that require businesses to protect personally identifiable information for employees, customers and more, security has taken the forefront for companies nationwide. Document scanning allows teams and remote workers to work on projects across geographic areas simultaneously. Company records can be accessed, modified, and uploaded by anyone in the office, which puts valuable information at your employees’ fingertips whenever they need it. Eliminate the need to find a document, make a copy, and send it through the mail or FedEx with document scanning. Digital versions of important documents allow remote employees and partners to have access to documents instantly with an email or access to your EDMS. Your employees spend time looking for records every single day. Document scanning eliminates the frustration and the time it takes to find a document.Once you have your document scanned and indexed digitally, you can find them with a quick keyword search. Electronic documents also reduce the chance of duplication and accidentally sending out old versions of critical documents to clients- almost every DMS gives you complete version control, and ensures that the most recent version of any document is easy to find and current. When you run a busy office, it can already be stressful. 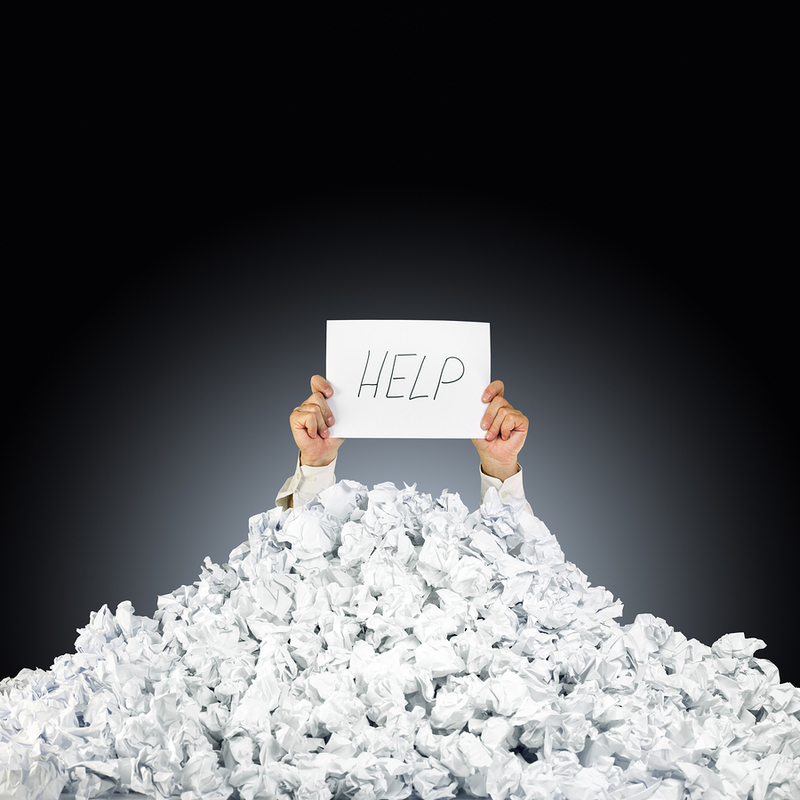 If you throw in a bunch of paperwork and clutter, it decreases workflow and makes everything harder to manage. An average filing cabinet uses 15-20 square feet in your office- if you’re cramped for space, scanning your documents is a great way to optimize your office and streamline your processes. 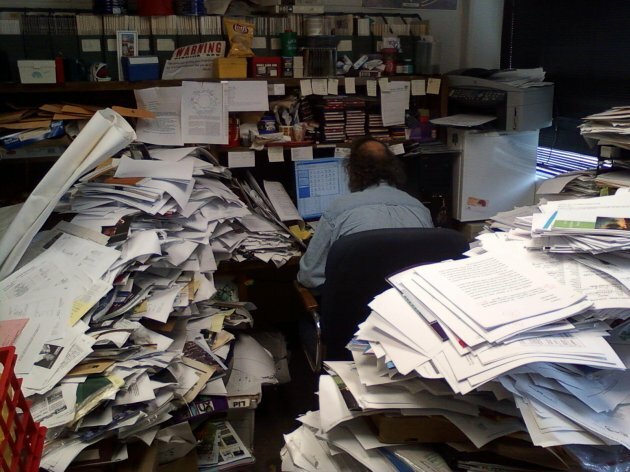 As you can see, there are plenty of reasons to make the leap to a paperless office. Next, we want to discuss some of the things you need to do to prepare for your scanning project. Whether you choose to do it yourself or you are looking for a professional scanning company to help you scan your documents, planning ahead to ensure your documents and your employees are prepared is the next logical step in figuring out if document scanning is the right choice for your business. One of the most important steps in migrating to a paperless office is to determine what type of document scanning system you want to implement. Even though the cost per page can be pennies when scanning tens of thousands of documents, scanning every file you have in your massive file room might be a bit cost prohibitive, Here are some of the choices that you can consider to determine the best option for your company. The first thought when a company considers digitizing their documents is to scan everything within reach. It’s a catchall option, and guarantees that there are no critical documents that could be missed. While this option puts all your documents in one place, even 5 years’ worth of filed documents can be thousands of dollars. If your business has backlogs dating back to the 50’s, it might not be the most cost-effective way to utilize a paperless office. 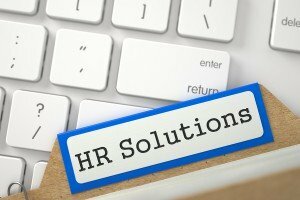 Every business has a series of documents that they use regularly- it could be forms, HR files, or even specific documents that need to be retained on a regular basis. On the other hand, there are some documents that businesses need to hang on to, but are never touched after they’re filed. Sometimes it’s easy to tell which one is which- but if you’re not sure, you can utilize a scan on demand option. This is particularly useful if you utilize an off-site storage facility. All your documents are retained and stored offsite, but you can request that any document (or series of documents) be scanned in when you need them to be. Over time, all of your regularly used documents are digitized, and documents you no longer need to retain are shredded once they pass their designated retention time. Day Forward Scanning is a cost-effective way to manage your records and clearly define what you’re going to scan, and what you’re going to archive. It gives you the flexibility to access paper files and transition between your old document management systems to a new, more efficient, and easier to use electronic document management system. The definition of this strategy is pretty simple- all you do is pick a date in the near future where you will no longer keep paper records. Moving forward from that date, all records will be scanned indexed, stored and managed digitally to make your office more efficient, your records more accessible, and decrease the costs of paper records. After you have made the transition, you can utilize several different options for all the paper records you still have hanging around the office taking up space. You might want to scan your older files if you need to access them at a future date, or you can store them off-site in a secure records management facility. There are also hybrid options where you can scan and store documents in any way you choose that fits your business best- but realize that customized systems where there’s a possibility of duplication or security issues can negatively affect your business. Choose wisely, and stick with it. Once you figure out the process you want to use to scan your documents and the different files you need to keep on hand, the next step is estimating the amount of documents in your scanning project. Since every document management company offers a per-page scanning price, having a good estimate of what you have to scan will help you get accurate quotes for your project. There are two main ways to get an approximate count of the number of pages you have to scan- by the number of banker’s boxes or file boxes you have, or how many sheets of paper per inch you have in a filing cabinet or on a shelf. Here’s a quick way to get the information you need. A standard banker/copy box is 12.5′”W x 15.5′”D x 10.5′”H. Depending on the type of paper and the amount of file folders that you have in each box, you can fit approximately 2000 to 2500 sheets of paper. A large file box is 15′”W x 24′”D x 10.5′”H. Depending on the type of paper and the amount of file folders that you have in each box, you can fit approximately 4000 to 4500 sheets of paper. 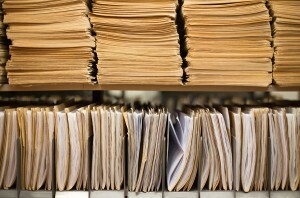 The number of documents per inch on a shelf or in a filing cabinet really depends on how tightly packed the papers are. On average, you can figure that you’ll have around 150 to 200 sheets per inch of space on your shelf or in your cabinet. To figure out how many boxes of documents you have, think about this: If your documents aren’t packed tightly and you have 150 sheets per inch, then you need one standard banker’s box for every 13” to 16” of space on your shelves. Although these are just estimates, it will give you an idea of how many boxes you have, or approximately how many actual documents that you might need to scan. 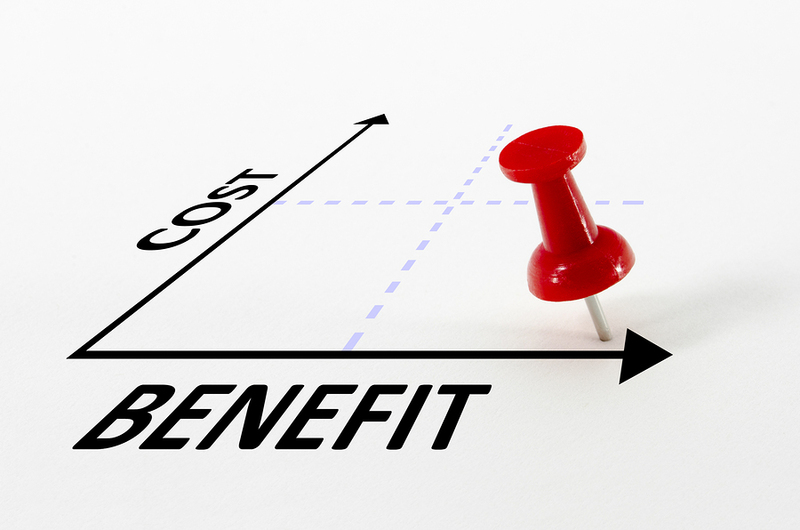 Now, let’s look at some of the factors that affect the pricing of your scanning project. Now that you have selected the type of document scanning service that works best for your business and have figured out the approximate number of documents that you would like to scan, the next step is to determine all the variables that could affect your quote from a scanning professional. A typical scanning job averages around 7-12 cents per page, but the pricing of your project will vary according to exactly what you are looking to do. Here are some additional considerations that factor in to the quote for your scanning project. Double-sided paperwork adds some complexity to the project- A standard letter file box full of paperwork that is double sided increases one box of documents from 2,700 pages to 5,400 pages. 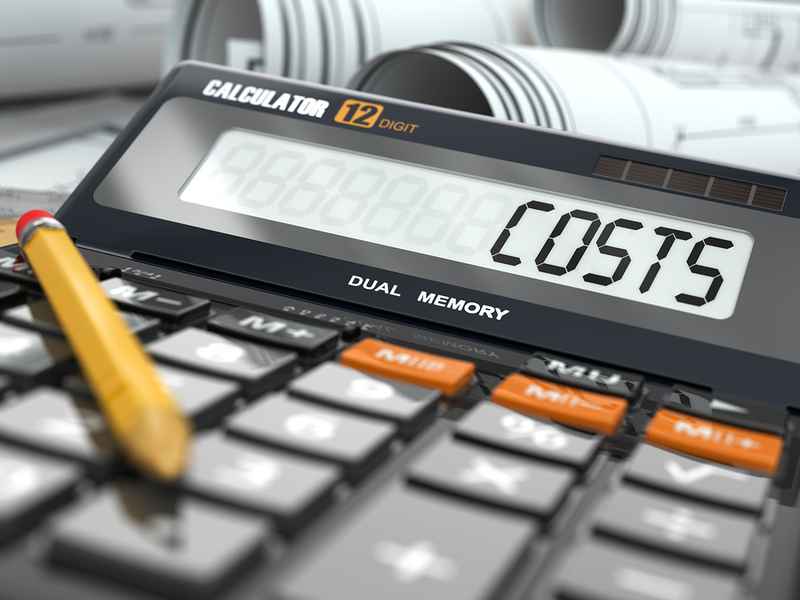 Prep work factors into the end-cost of your project- by determining what work is required and what services you would like the document scanning company to provide up front, you can eliminate the chance of your project cost creeping due to unforeseen prep work and additional cost. We will discuss some things your company can do to eliminate some of these costs in our discussion of the lead-time of your project later on in this document. The price of your scanning project is going to change according to the amount of documents that need to be scanned. 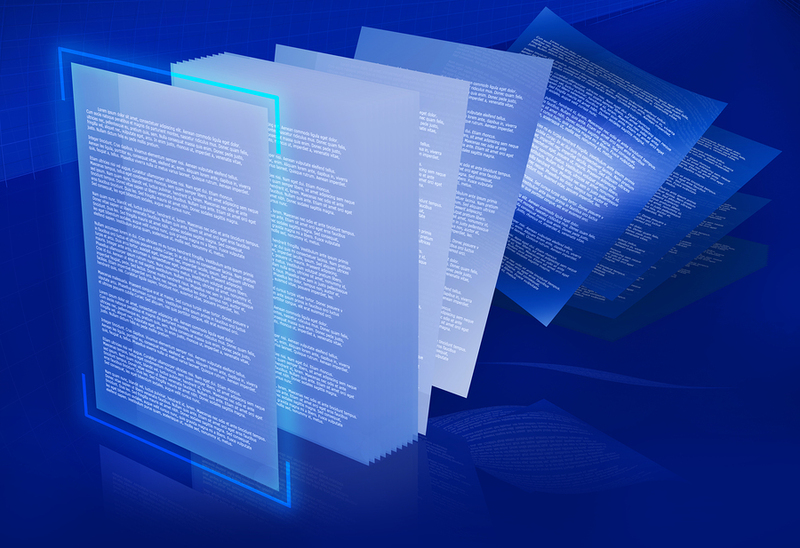 Document scanning companies usually offer volume discounts based on the size of the project. A few boxes of documents will have a higher charge per page than a million pages- so if you have a small volume of documents, but don’t have an urgent need to scan them, it might be beneficial to wait until you have a higher volume of documents to optimize the cost per page. Determining where you want your documents scanned is a major factor in the cost of your project. If you need to witness the process, or don’t want your hard-copy documents to leave the site, a scanning company can come to your location and scan your documents onsite. This ensures that your records are secure, and scanning onsite will allow you to integrate into your electronic document management systems faster. That doesn’t mean that sending your documents off-site to be scanned isn’t secure- the scanning company can provide secure, lockable containers, or you can provide your own containers and give the company access at their facility. Dropping off or sending your documents to the scanning company directly will result in significant savings over onsite scanning. When Do You Want to Have the Project Completed? 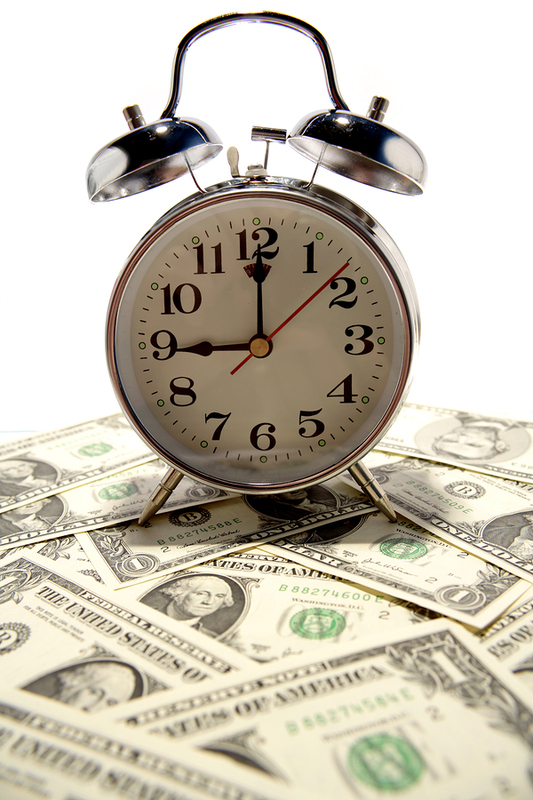 Time is always a factor in any project- the more quickly you want your scanning project completed, there’s a good chance that it will increase the overall cost of the project. You should get an accurate estimate from your scanning provider on how long the project will take- they will factor in any prep work required, any additional requirements for your project (OCR, Redaction, Indexing, etc. ), and the time it will take to re-assemble the documents. The larger the project, the longer it will take. Be sure to provide an order of priority for documents that you use regularly. In most cases, you should be able to access your digitally scanned documents very quickly- sometimes on the day that they’re scanned- but that hinges on the type of digital storage and document management system you have in place. All these factors will help provide you with a very accurate quote for your project. The more information you gather and the more prep work you prepare for, you’ll reduce the chance of a quote that’s higher than you expected. When you have a quote in hand and are ready to proceed, the next thing to consider is the lead-time it will take to get your project off the ground. The lead-time for the project genuinely depends on the type of service that you’re requesting. When you choose the contractor for your project, be sure to ask about the lead-time for the project, and the approximate time it will take until they can start the project. The lead-time for a scanning project varies depending on what steps you have taken (or want to take) to add digital documents to your current workflow and document management plan. Sort through your documents and remove staples, paper clips, tape, or anything that might cause sheets to stick together. Making sure that all pages are separate speeds up the process and ensures no pages are missed. Be very careful how you use tape. Tape should only be used for items like plane tickets, receipts, business cards, etc., Tape each of these items evenly and straight in the middle of a sheet of paper- and use one side of a sheet of paper. Taping on two sides may result in a critical page being missed or make the page difficult to scan. Straighten out any folds in pages. Any information in a folded section will not be scanned, so it’s critical to ensure that all parts of each page are visible. You should also straighten out bent corners. Arrange all documents in the order that you plan to have them scanned in to streamline the process and make the entire conversion go a little faster. Making a plan ahead of time is a lot easier than trying to do it after you start your scanning project- and it will help with the indexing of your digital files too. Once your documents are scanned, you need a way to access them and store them. Before the tremendous growth of online storage, converted documents were stored on disks, servers, or external hard drives. Today, companies utilize Document Management Systems, or DMS, which make the documents easier to find, and gives the ability to manage who has access to particular information. An DMS provides improved workflow of information throughout an entire organization. DMS are traditionally a software platform that acts as a portal for all the documents in an organization. Electronic document management can be purchased as software and used on a company server or used as a “software service” with cloud computing. If you’re considering scanning your documents, you might be using an DMS already, or have selected a system that works best for your business. 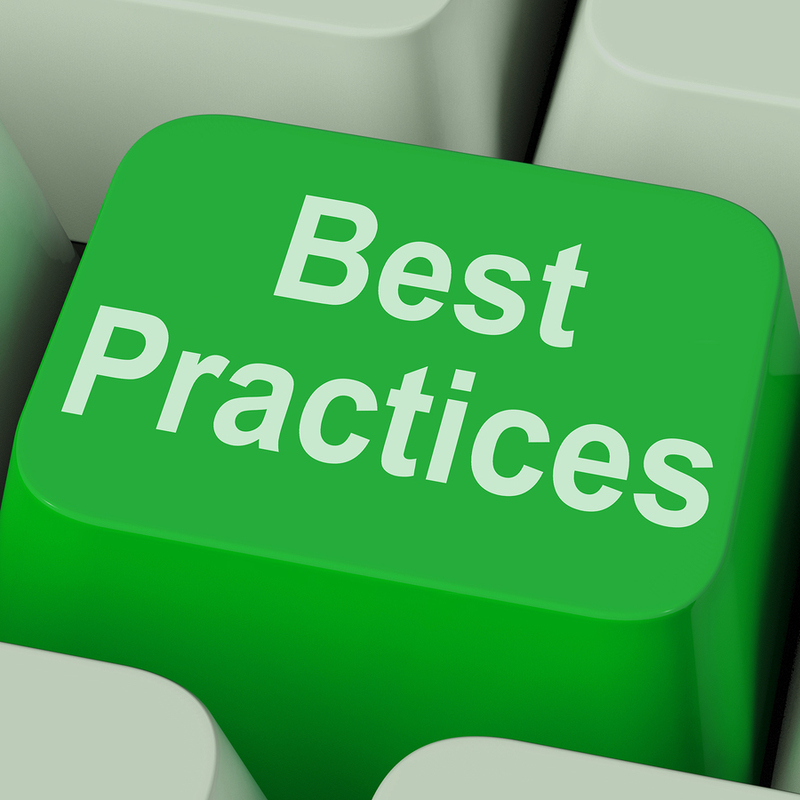 If not, here are some basic document management features that every DMS should provide. 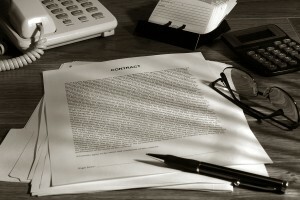 An DMS reduces the labor required to manage and handle the documents. 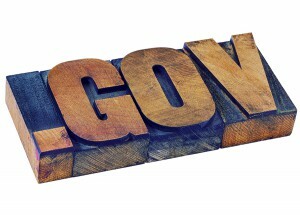 All scanned documents are available to every employee on their computer instantly, and finding a document takes seconds with a simple keyword search. This reduces the labor costs associated with tracking a file down in an on-site file storage room, which quickly recoups the cost of implementing this system through improved efficiency and reduced labor costs. An DMS allows for the quick retrieval of all required documents if subpoenaed- digital documents are aged and marked for destruction when they reach the end of their lifespan. It also includes security procedures and the ability to set access to a user level. Employees can only get access to what they need for their job and mass downloads are strictly controlled. 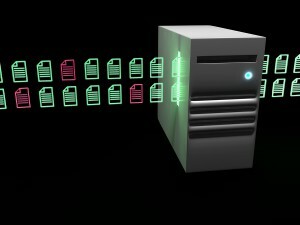 Using document scanning for company records to a DMS reduces or eliminates the need for onsite storage space. Company documents and records are also easier to share for employees that are working remotely or are constantly on the road. Everything they might need is available in real time. Beyond the basic features, they have many other options that will depend on the individual company, industry, and the goals of the conversion. Ability to export into multiple file formats. 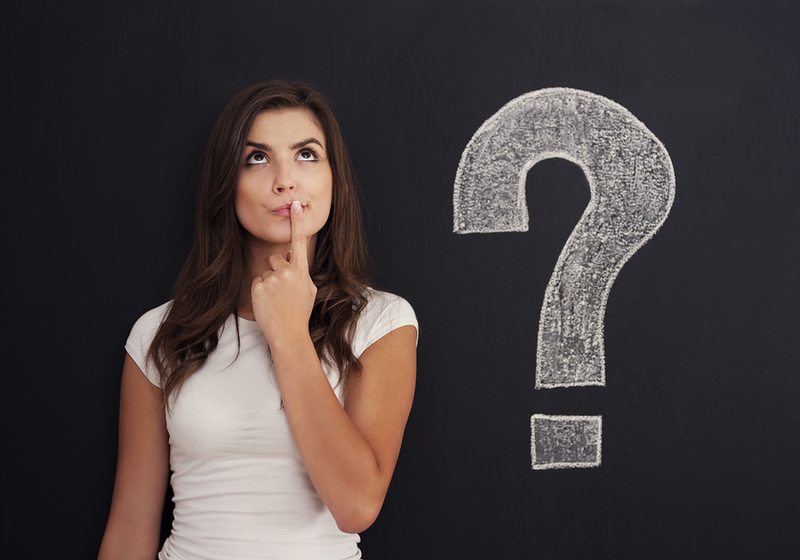 Before choosing an DMS vendor, it’s important to take the time to look at several options. It is useful to practice on each one of the packages. Don’t just watch the sales person do a demonstration- set up a practice database and perform the functions that each employee will have to perform. Be sure to check to make sure you can export your documents in the future. This will prevent the company from being “locked in” to a single vendor if needs change. Once you have selected a DMS system for your company, you need to have a place to install it. 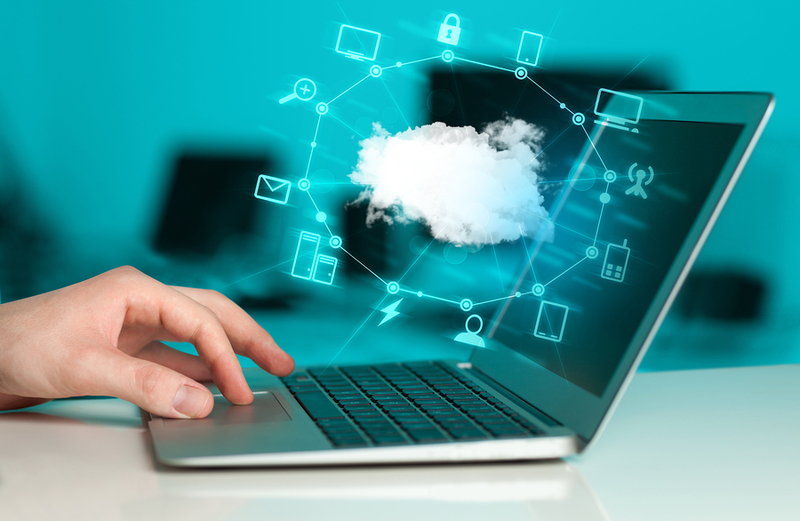 You could utilize your internal network or server, but one of the more useful and powerful options to utilize your DMS and store your files is through Cloud Storage. Cloud storage has lots of advantages for your business. Not only will it integrate seamlessly with any DMS system. It will give you the ability to store massive amount of information remotely, which allows you to protect your information, backup your files regularly, and access your data whenever you need to. 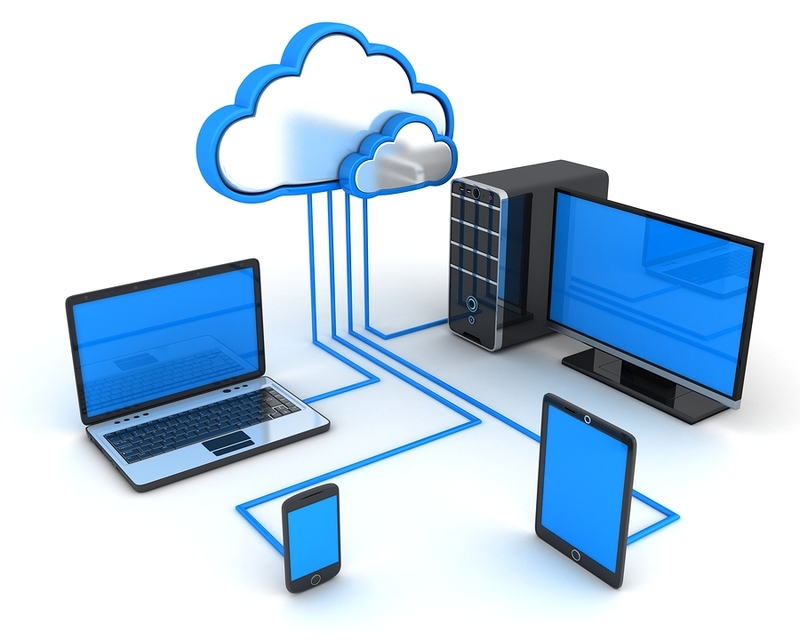 Here are some of the advantages of utilizing cloud storage with your existing or new DMS. As long as you have Internet access, you will have access to the files on your cloud server. Since cloud storage isn’t device-oriented, you can access files through a smart phone, notebook, tablet, laptop, or any Internet-enabled electronic device. This makes virtual commutes easy, and allows people to have more freedom to connect with clients and their family. It also gives you access in a pinch when you forget that critical document or need access to a presentation that was corrupted on your laptop. Another advantage is the fact that an online data backup service is an external backup of your system and files. Your data is protected from issues and natural disasters that in other instances would be catastrophic. It’s also a cost-effective way to back up large amounts of data instead of buying an expensive network server dedicated solely to data storage- and the company or labor to maintain it. Cloud services allow a company to subscribe to an online service for a nominal fee for the entire business or per user. 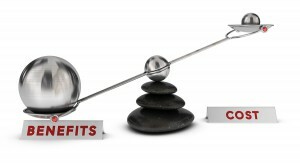 Cost is variable depending on the capacity and the requirements that your business requires. One of the biggest changes in cloud services over the years is the ability to customize the service you need to your business. Even the more inexpensive cloud service providers offer you a level of customization that is more sophisticated than traditional storage and networking systems. Cloud storage systems are software driven and usually require a small investment in hardware or software. Usability is one of the biggest changes that cloud storage will bring to your business. Almost every solution is universal to Mac and PC, and has the ‘drag and drop’ option, so you can take any file and easily send it to your cloud storage drive. The interfaces are also easier to understand and manage, removing some of the burden of extensive training and understanding of how your system works. Scale-able services are one of the most overlooked advantages of cloud storage and cloud services. It used to be tremendously expensive for any growing business to expand their capacity and ability to take on more clients and more employees. Now, with a series of phone calls and some troubleshooting, you can expand the capabilities of the business faster- but not necessarily easier. You have to be sure that you find a solution that works with all your existing systems, processes, and procedures. That way, you won’t have a less painful migration to the cloud, and you can systematically fix your bandwidth issues without having to expense tens of thousands of dollars for equipment. You can also grow as you go- you don’t have to worry about expanding to support future growth. 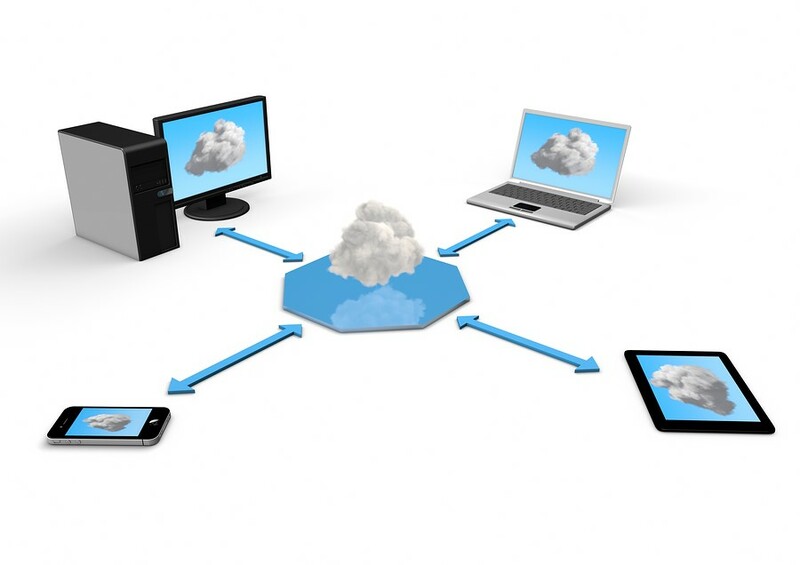 Integrating a cloud storage service with an DMS will create a flexible, powerful, easy-to-use system for your newly scanned digital files. Starting a scanning project seems like a simple task- but finding the right company to do your scanning for you is just one piece of the puzzle. Proper research and preparation will make the transition to a paperless office seamless, and you’ll see the benefits of a digital document management system instantly! Our goal for this article is to help provide you with the reasons why you should consider migrating to electronic documents, and provide you some tips on how to get your scanning project off on the right foot. These considerations will help you get an accurate quote for your project, reduce the lead time and the total time it will take to complete your project, and ensure that you select the right system to store and access your files. Document scanning, cloud storage, and Electronic Document Management Systems have changed the face of document management forever. The sooner you take the leap to a digitized office, the sooner you’ll see the tremendous advantages that are right in front of you. 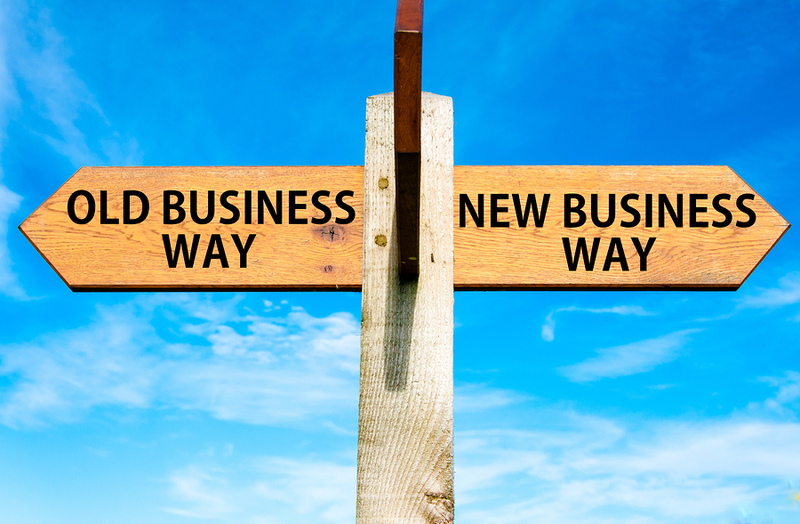 Determining a starting point for your company to move to paperless can be challenging. Day Forward Scanning can help you bridge the gap when transitioning from a paper filing system to a paperless, digital document management system. 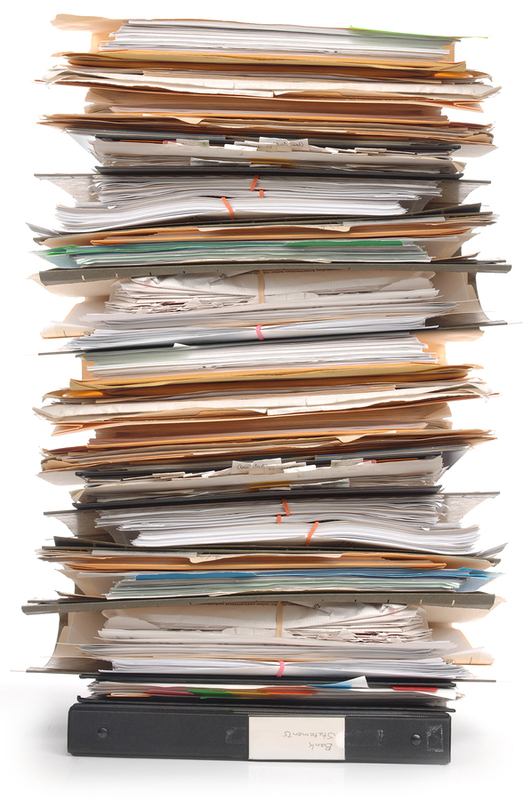 Paperless offices are one of the more efficient ways to manage your documents. This article explains how you can save time and avoid losing documents by scanning your paper documents. Integrating document scanning into your current document management plan can save your company in many ways. Learn how document scanning services can help optimize your workflow. With the increase in efficiency and quality of document scanning and digital storage, businesses are migrating towards paperless offices more and more. Learn about some of the advantages and disadvantages of a paperless office, along with some additional opinions on this intriguing subject. Does your office have to deal with an annual, quarterly, or monthly purge to clean up old files, eliminate duplicates, and keep things in your filing room organized? 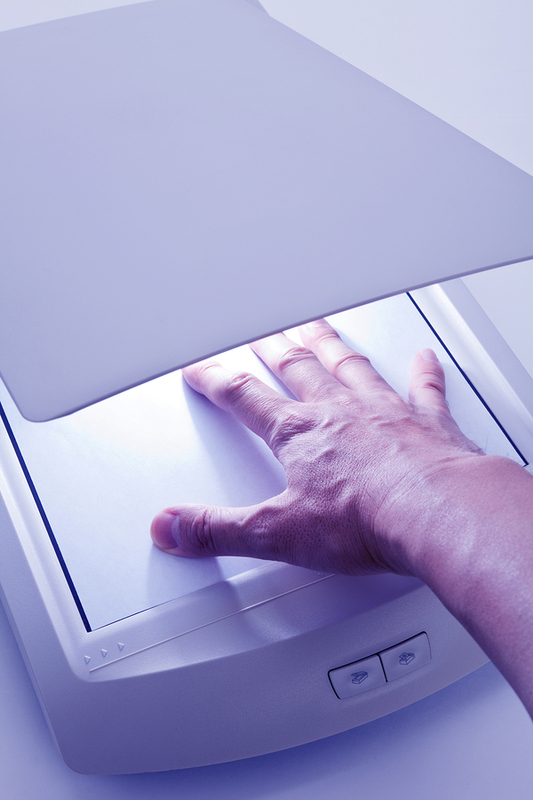 Learn how document scanning can help you minimize (or eliminate) this process for good.